A Warwick company which was launched to help women become pregnant is set to start an additional large-scale clinical study in the UK and USA. 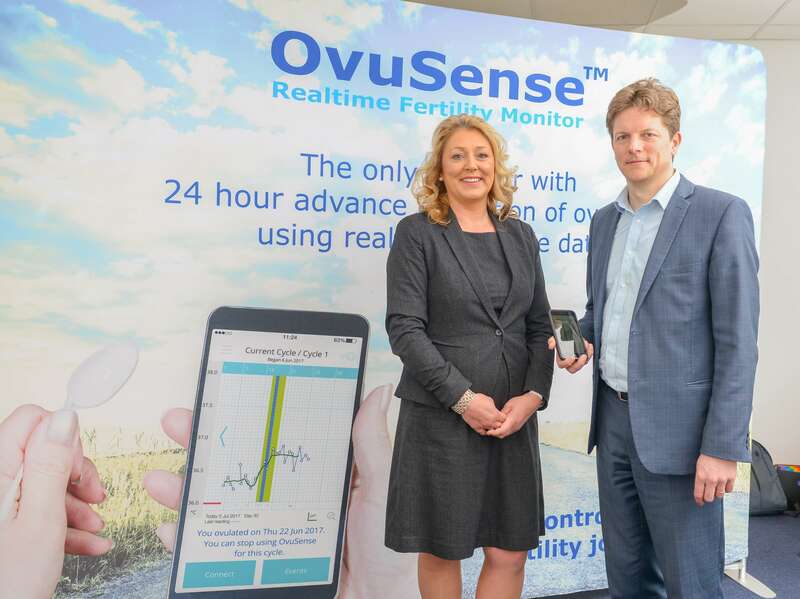 Fertility Focus, which has been based at the University of Warwick Science Park’s Warwick Innovation Centre, in Gallows Hill, since 2013, is growing month-on-month as sales of its OvuSense fertility monitor are bought throughout the world. The internal monitoring device is used to accurately measure core body temperature and predict the date of ovulation in real time to increase chances of pregnancy, and understanding of the cycle for the user and her doctor. The company is now starting a large-scale study in the UK and USA to focus on helping women to better understand the ovulatory issues which may be causing problems in conceiving. Rob Milnes, CEO of Fertility Focus, said the study would be based on existing users of the product. “The clinical study will allow us to help clinicians diagnose ovulation disorders,” he said. “At the moment, up to 30 per cent of women who enter infertility treatment have ‘unexplained fertility’. “Using data from the study will enable a new version of our OvuSense product helping a woman and her doctor to understand much earlier in their attempts to conceive if there is anything wrong, leading to earlier diagnosis. “That earlier diagnosis will help everyone concerned make informed decisions about the right course of treatment. The business is also in the final stages of raising up to £2 million equity funding from a mix of high-net worth individuals and funds. Rob said: “Our sales have grown 25 per cent month-on-month this year. “That is due to the hard work we have put into the business over the last few years,” he said. “We have a fantastic unique product and the best customer support in the sector as we understand the need to hold the hand of our customers throughout their journey to becoming pregnant. Jane Talbot, centre manager at the Warwick Innovation Centre, said this was an exciting time in Fertility Focus’ history. “Rob and his team are preparing to take the business to the next level and it will be interesting to find out the results of their clinical study which will have a life-changing effect on many women,” she said.